It is Palm Sunday and I am ready for church so I thought I would do a blog post!! Even tho it sleeted yesterday afternoon, signs of Spring are reminding us we serve a risen savior and it won't be long for these cold dreary days to be around. 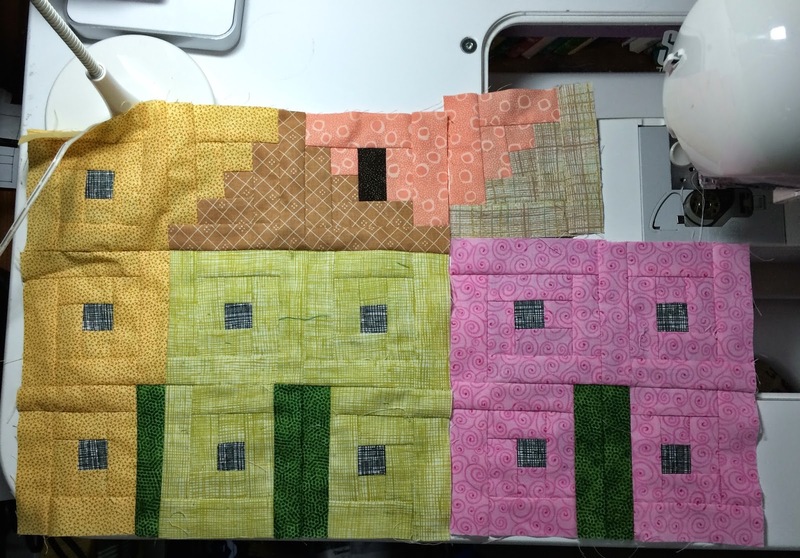 Yesterday Flavin Glover, from Auburn Alabama, came to Possum Town Quilters and presented a workshop on using the log cabin block to make log cabin villages. Here is a link to her blog. It was really a fun workshop. There was lots of good food, fellowship and sewing. You know it always lifts your spirit when you can say "look what I did!" Flavin teaches a great class and is very encouraging and had lots of good tips. If you can get to one of her classes I recommend it. 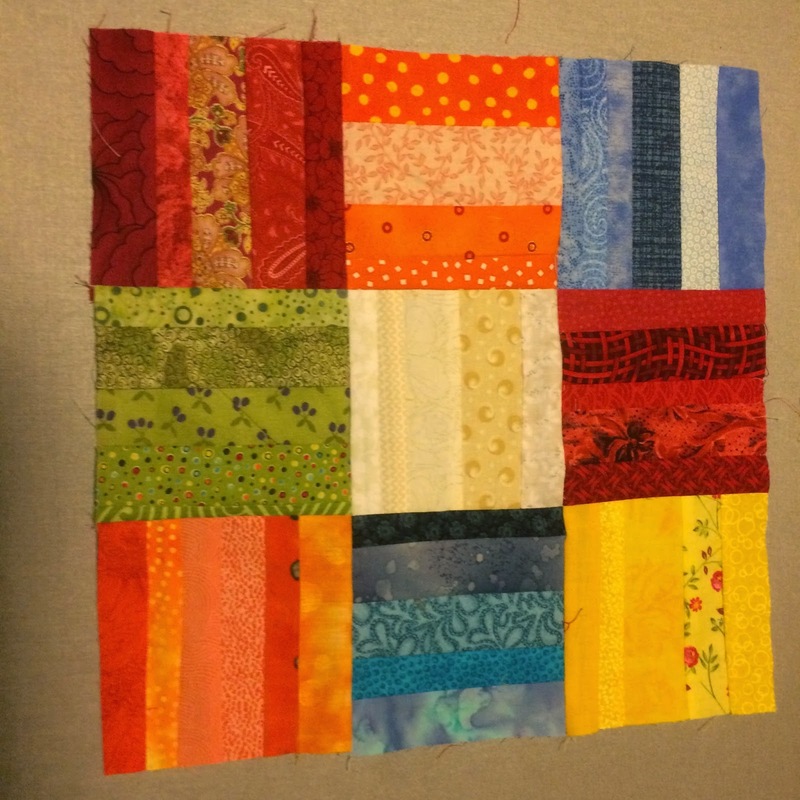 Here are some of Flavin's sample quilts she showed at the workshop. Here is my work for the day...I was using Rainbow row, in Charleston, SC as my inspiration...and you know they are soft pastels...not my usual colors. I didn't like it at all, but once the pink brightened it a bit, and I add some more roofs and other colored buildings I think it will come together. I don't know if you are a regular reader or someone stopping by on a blog tour, but I have been working on getting healthier. Thanksgiving I gave up diet coke and really almost all soda. I drink maybe one a month now. I lost a pound or two over the holidays, but nothing to get excited about. So it was time to do something else. On February 5th I started tracking the food I ate and it was really successful. I have been moving the scale downward almost every week since!! 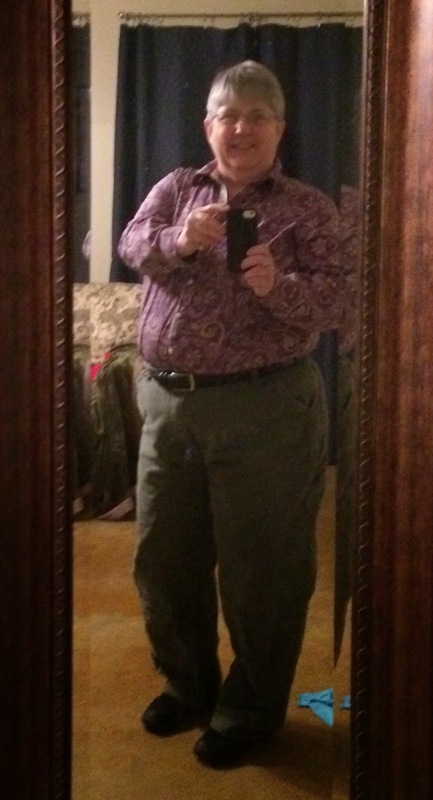 A week or so after I started, on Feb 17, by my camera, I decided to take a "before" photo. This morning I did another.... I know there is not a huge difference and there is a ways to go, but I thought I would let you see where I was. I am about at -13 according to this mornings scale, but my actual date for weekly weigh ins is Mondays...but no time to write blog posts and edit photos before work. I will try to keep about the same outfit as long as possible, so it won't be the clothes change you see it will be the change in me. I will give you a monthly, or so, update!! I think this is the layout I am going with...unless I change my mind in the morning. 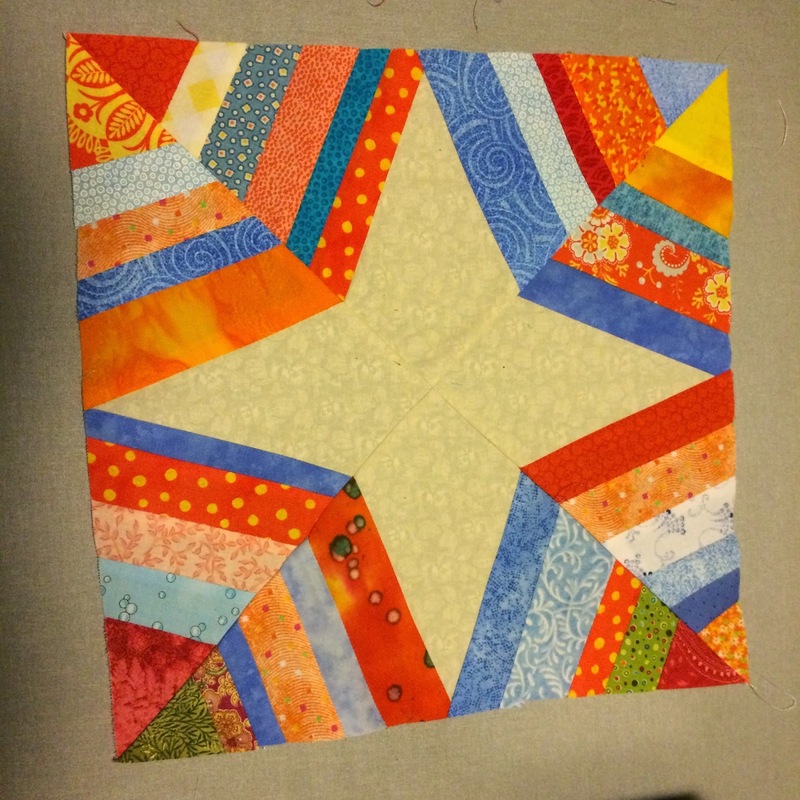 I decided to get my Craftsy Block of the month quilt out from 2012. I am going to work on it. After looking through the blocks I am not sure I like a lot of them. So I have made a few more blocks and we will see how they work in...I have one of the new ones on the floor...but there were a few I added earlier that were not part of the 12 that Amy Gibson taught in the class. I am thinking of taking some of the slash blocks out and putting these in, sashing it with neutrals and random cornerstones. The other option is to try a quilt as you go like they did at this site...here. Hmmmmm... by the way they have a ton of tutorials. On a personal note I have been working on getting healthier this year. I gave up diet cokes and, really all cokes, at Thanksgiving. I have been upping the amount of water I drink on a daily basis. I have been tracking my food for the last month or so and my weight is headed down...:) I had really let it get out of hand. My goal is to keep the tracking up and when my weight gets down a little more, where there won't be as much pressure on my knees, to add in more physical activity. At this weight my knees hurt a good bit of the time and I need to get some pressure off of them. When it shows a little more I will post photos!! I thought you would like to see the photos of the other Magnolia quilts, both selected and not, because all are really good. These pictures were taken by Keri. She did a wonderful job. Naomi's is hand pieced and quilted. Her flower is 3D. Cool. 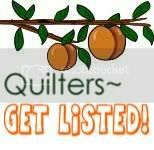 Julia's has the micro quilting that she has gotten so good at. I love her use of color. Barb did a paper pieced work that is wonderful. Watana also included 3D elements. Love the variation in the leaf fabrics. 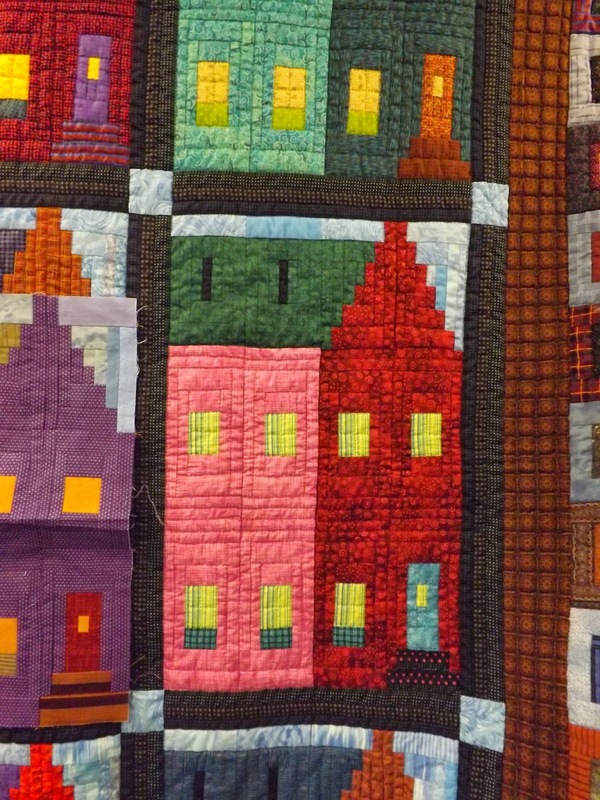 Brenda used pieced diamonds to do her quilt. If you have ever pieced with fabric that is not on the grain you would know this is a spectacular work. I also like the colors in the diamonds. Mary Anne painted her picture on fabric then quilted it. 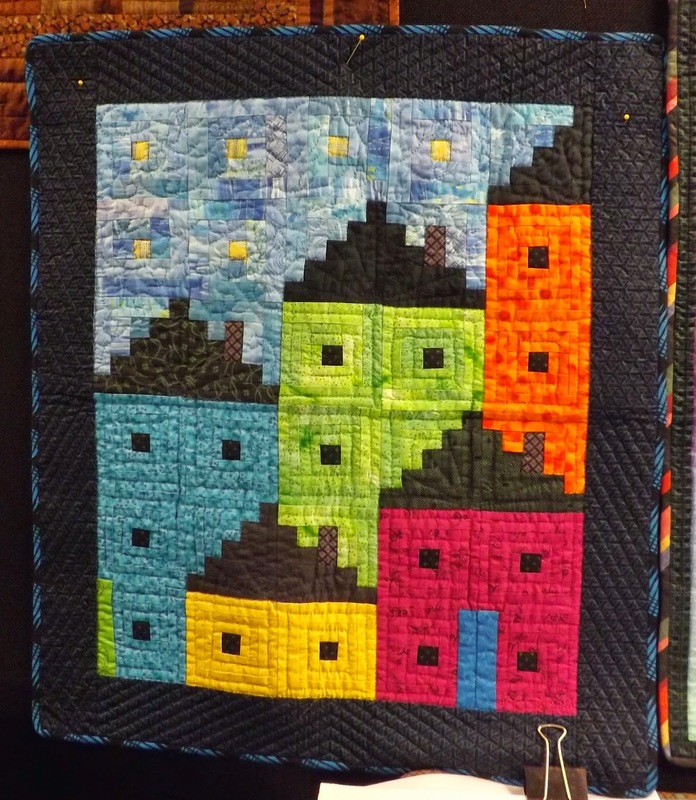 I really like how she used some irregular quilting to make the frame look more like wood. CC took a selfie with her I-pad and then made it a quilt. This is an amazing work of art. You really need to see it, and the others in person. The bead work and the details of the hair blowing is amazing. Linda paper pieced using the same patten as Barb. 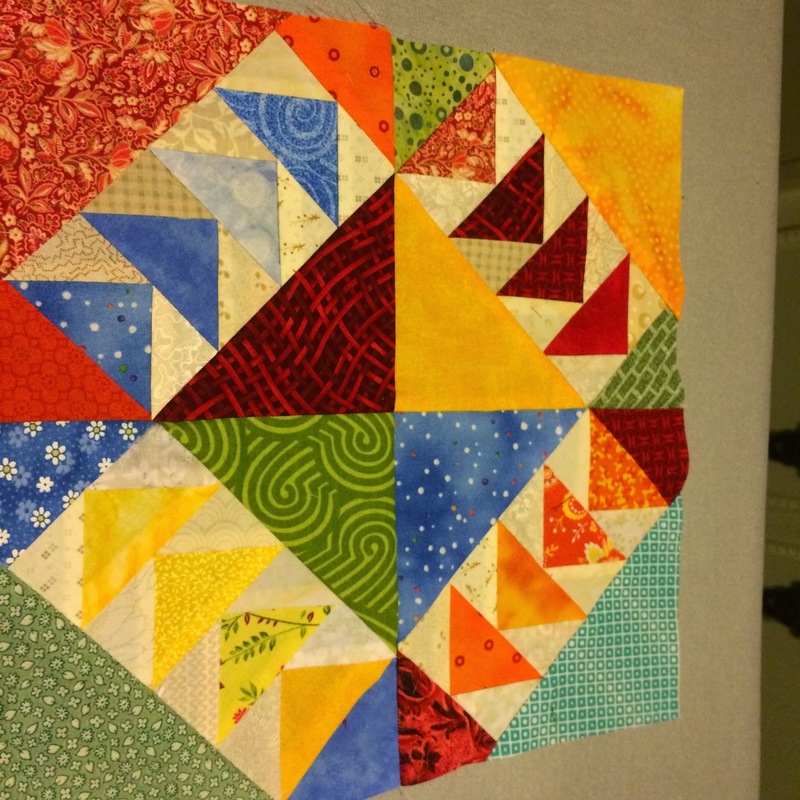 Isn't it amazing how fabric choices change the look of a quilt? Nice clean lines. 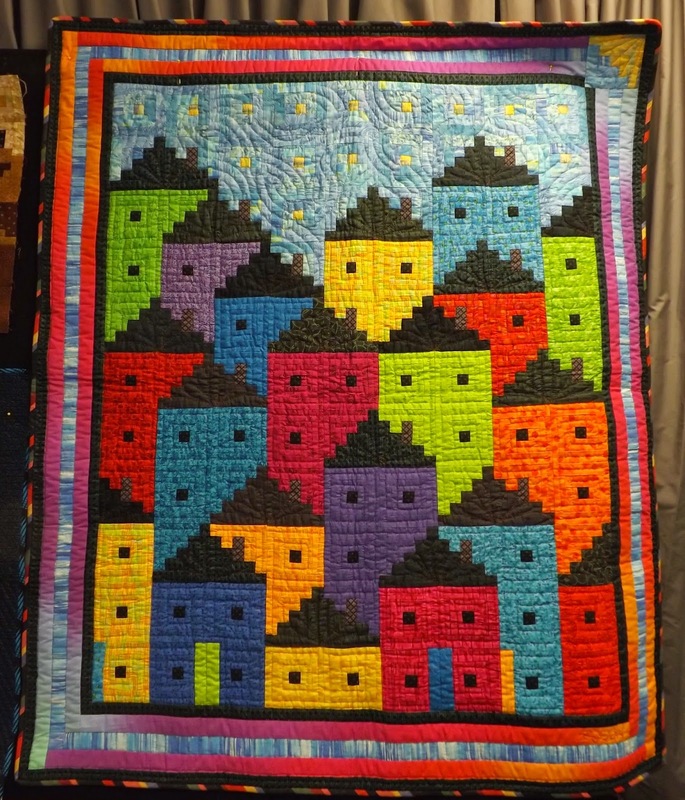 Tonya's quilts always seem to have a feeling of playfulness. I love the children running on the hill chasing the butterfly's. One of the girls under the tree is reading the Bible. Carol had wonderful use of color and workmanship. Linda G came up with an original design combining a tree limb and a table decoration. There were two other magnolia quilts that were taken home before Keri & I got to get pictures of them.. :(. I will post some pictures of what I have been working on this spring break on the next post. So far no progress on the projects other than errand being run and things set up to be worked on. Slight set back today when I was changing a water filter and bumped the supply line and caused it to start spewing water all over the place, but I guess I needed to mop anyway. Tax information is taken to the tax man and some other business stuff taken care of. It feels good to check those things off.